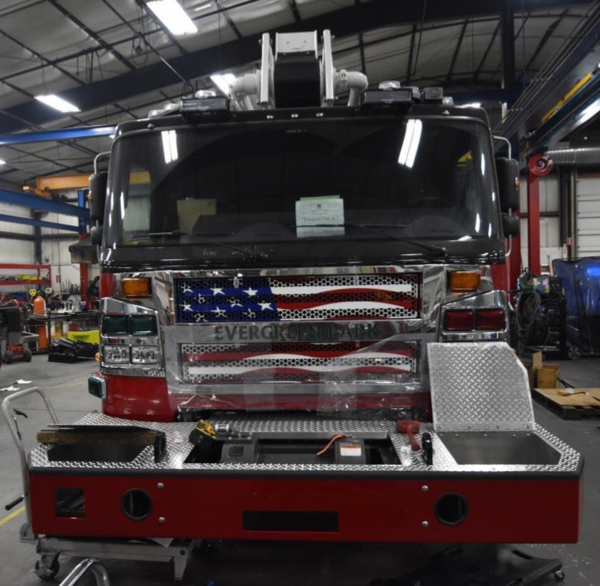 This entry was posted on February 10, 2019, 7:00 AM and is filed under Fire Department News, Fire truck being built. You can follow any responses to this entry through RSS 2.0. Both comments and pings are currently closed. Great looking, practical rig. 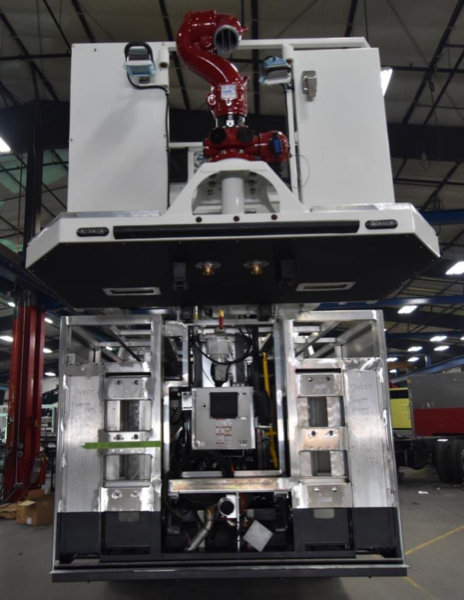 Good for EP to recognize the capabilities an articulating boom can provide. Seems to be a practical, well run, no nonsense department. Besides having a full 4 door cab, the body might be slightly longer because ground ladders are going to be stored flat in storage above the side cabinets with access from the rear. If you go back a few posts on this, you can view the initial blueprints.